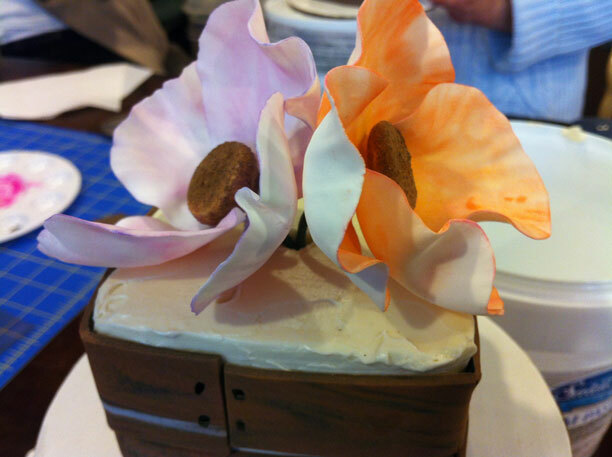 I attended a wonderful poppy making class at Sugar Flower Cake Shop last weekend and we made these adorable poppy flowers sitting in a “wooden” box. The cake was a vanilla butter cake with salted caramel buttercream on the inside and vanilla buttercream on the outside. The “wood” is made from gumpaste mixed with a softener so it won’t get too hard. You make a woodgrain effect by mixing several shades of brown together until they swirl but don’t mix completely. Then I accented the wood with some “screws” that held the box together which is just brown edible paint. It was a lot of fun to make this cake. 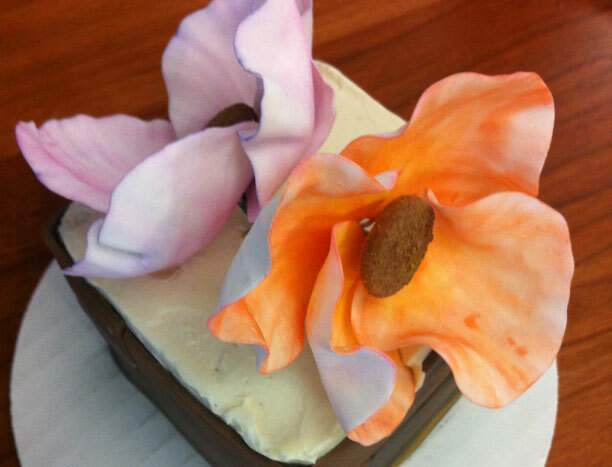 Sugar Flower Cake shop does a lot of the hard work for you and all you have to do is the fun assembly of the cake – which I like. 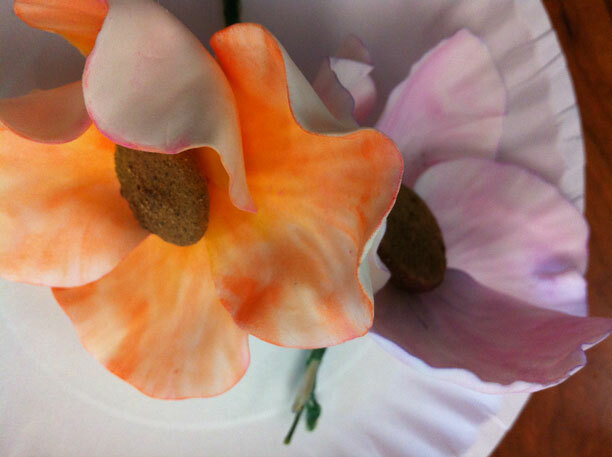 Poppies are a relatively easy flower to make since they don’t have too many petals or complicated assembly. Plus they’re just adorable. Next time I think I’ll air brush the color onto the poppies so I can get nice bright colors. The center is made from gumpaste dipped in nutmeg so it smells amazing! Since I’ve gone gluten free, I didn’t get a chance to try the cake but my teammates at the International Space Apps Challenge did and I think they enjoyed it. 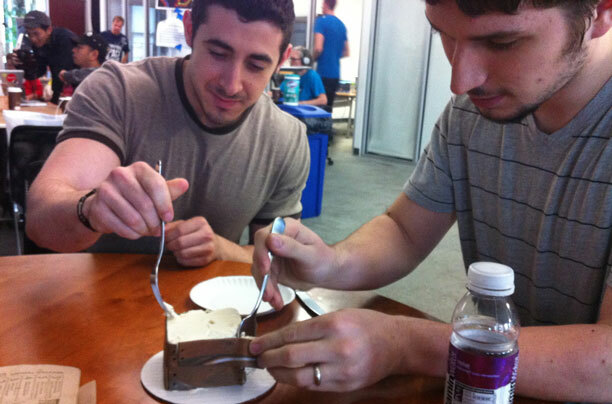 Also I had to shoot the pictures with my iphone since I didn’t go home before my teammates devoured the cake.